Biblical Response to false teacher Jim Wallis and Sojo.net article- "Why We Made A Video Making Fun of Patriarchy"
According to sojo.net on Jim Wallis - "He is president and founder of Sojourners, where he is also editor-in-chief of Sojourners magazine, which has a combined print and electronic media readership of more than a quarter million people. Jim frequently speaks in the United States and abroad. His columns appear in major newspapers, including The New York Times, Washington Post, Los Angeles Times, and Boston Globe. He frequently appears on radio and television as a commentator on CNN, MSNBC, Fox—on shows such as Meet the Press, Hardball, the Daily Show, the O’Reilly Factor—and on National Public Radio. He has taught at Harvard University, Georgetown University, and a variety of other academic institutions." 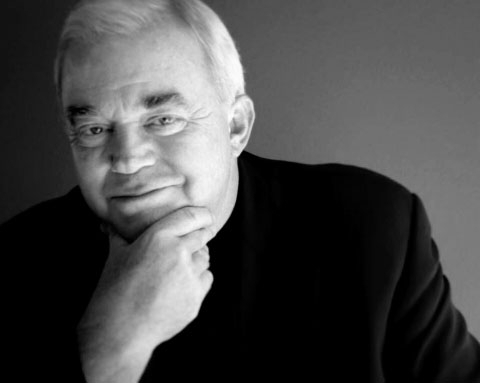 Jim Wallis has a video on his website titled “7 Reasons Men Should Not Be Pastors,” . According to his website - "Three million people have watched the video, which satirizes the misguided reasons people say women shouldn’t lead in the church. We’ve received countless comments from women saying they’ve heard every single one of these used as a reason they shouldn’t be in leadership." The sad part about this video is no scripture in context was used to justify this false and unbiblical stance. When an organization does not stand on the word of God for truth - 2 Timothy 3:16-17 and makes other issues of more importance than the gospel being of first importance- 1 Corinthians 15:1-4, we get articles like this and perversions like this that defend and elevate supposed "social justices" to heretical proportions that do not glorify Christ. Biblical Response to Jim Wallis and Sojo.net article- "Why We Made A Video Making Fun of Patriarchy"
Galatians 5:9 says "A little leaven leavens the whole lump of dough." The mentioned article is false and Jim Wallis, the writer and owner of this website, is a false teacher and not biblically sound. He is not biblically sound and is in sin for promoting this rejection of God's word on how the church is to be run. I do not encourage any Bible believing Christian to follow him in light of 1 John 4:1 and Acts 17:11 . Bible believing men should follow God's word and not sit under a woman preaching to them from the pulpit in light of 1 Timothy 2:12-14 nor support a woman who claims to pastor in light of 1 Timothy 3. Jim Wallis perverts the word of God. Men and women are equal but have different roles - Genesis 2, 1 Timothy 2:12-14. In Titus 1:5-6 it says that the elder must be “the husband of one wife.” The Greek is literally “man of one woman." This same phrase is used of the Bishop in 1 Tim. 3:2 and the Deacon in 1 Tim. 3:12. Remember, Paul is speaking of church officers - not servants (diakonos) in homes (Rom. 16:1, 27). So, the pastor/elder is to be a man of one woman. 1 Tim. 5:17 tells us that the elders are to receive honor - especially those who preach and teach. Therefore, the pastor is an elder by definition, and the elder is to be a “man of one woman.” The word “elders” here is masculine in the Greek. So, Paul is telling us how the church is to operate (1 Tim. 3:15), and that the place of ecclesiastical authority is based on male eldership because Adam was created first (1 Tim. 2:12-13). This is doctrine - not culture. Galatians 3:28 is not about women pastors and elders. It is about salvation - in Christ, not church eldership, so it doesn’t apply. Deborah (Judges 4, 5) was an Old Testament Judge - not a New Testament elder. Prophesying women (Acts 21:8, 9) are not elders/pastors. Priscilla (Rom. 16:3, 4), a fellow worker in Christ, is not said to be an elder/pastor. Phoebe (Rom. 16:1) is a servant (diakonos) of the church - not an elder/pastor. Note that Jesus came not to be served but to serve (diakonos) (Mark 10:45). The government is called a minister (diakonos) of God (Rom. 13:4). Junia (Rom. 16:7) may have been a female apostle (not one of the 12) though this is debated. Still, even if she were, apostles are not for today; and an apostle is not a pastor/elder. The Chosen Lady of 2 John 1 is an honored woman - not a pastor/elder. Basically, the standard verses cited by people to support women being pastors and elders do no such thing. 1. If Christians refuse to submit to the teaching of God’s word in this matter, can they be trusted to rightly deliver God’s word to us in other matters? 2. How can an elder/pastor who is a woman be “the husband of one wife," lit. “a man of one woman," (Titus 1:6)? The Sojourners and Sojo.net is a classic example of what happens when the word of God is compromised and the gospel is minimized for other issues like social justice. The gospel is for us but is not about us. Sojo.net is not biblically sound and perverts the word of God by saying women should pastor and usurp God's design for how his church is to be run. Categories: Biblical Response to false teacher Jim Wallis and Sojo.net article- "Why We Made A Video Making Fun of Patriarchy"